Yep, that’s a cheater’s dice, alright. Six-sided dice date back nearly 5,000 years to ancient Persia, so finding 600-year-old dice in Norway isn’t anything special. But this recently discovered dice—with its conspicuously absent one-side and two-side—is unique, pointing to some Medieval-era shenanigans. This cheater’s dice was discovered at a dig in Bergen, Norway by archaeologists from the Norwegian Institute for Cultural Heritage Research (NIKU). The researchers are currently excavating the remains of a wooden street from the medieval Vågsbunnen district, which dates back to the 15th century. Back then, it was a densely populated area, filled with pubs and inns. It’s very likely that games—particularly those involving gambling—were played there. Archaeologists in Bergen have found over 30 dice that date back to the Middle Ages. Clearly, the use of dice in gaming was popular. In this case, however, it appears that someone decided to the twist the odds. This relic is missing its one-side and two-side, instead featuring two fours and two fives. Project manager Per Christian Underhaug suspects the relic, based on the setting within which it was found, was either lost or deliberately thrown away. 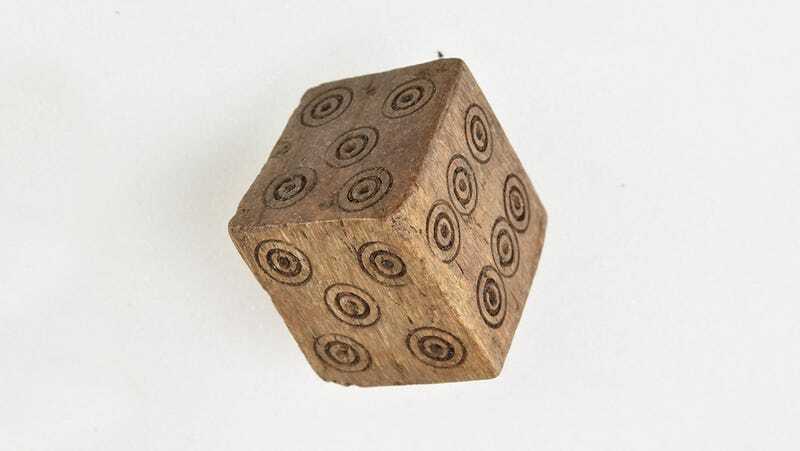 According to NIKU archaeologist Ingrid Rekkavik, the dice was likely used in Passe-dix (known as Passage in English), and old and easy-to-learn gambling game. The game involves two players, each of whom throw three dice. The point is to throw at least 10 in total, and the first to get less than 10 loses. The average toss in Passe-dix is 10.5, but with the cheater’s dice it jumps to 11.5. Depiction of a medieval dice game. Gambling was so pervasive in Norway during the Middle Ages that authorities made it illegal. A law passed in 1276 authorized the King’s Ombudsmen to confiscate money on gambling tables and charge each player a fine of half a mark, or 107 grams of silver. Despite this law, there’s still good reason to suspect that gambling was widespread in Norway in the years that followed, according to the researchers. Sadly, we’ll probably never know, though I’d like to imagine this unscrupulous gambler getting punched square in the face.